Happy Oscar Sunday! To celebrate, my co-host Rebecca and special guest host, Henry of Geek Soul Brother, share our predictions for tonight's ceremony (and apparently, not everyone is over the moon for critical darling The Silver Linings Playbook). 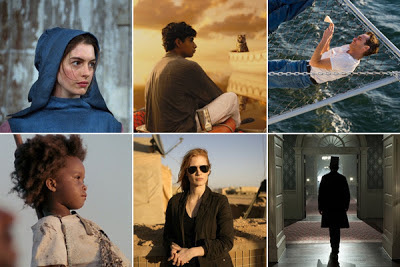 We also discuss the trends of this award season. While this year wasn't as nostalgia heavy as 2012 was, we did get a few biographical attempts amid a generally diversely themed year with the inclusions of Amour and Beasts of the Southern Wild. Also, we take aim at the qualifications to be nominated for an Independent Spirit Award. Since, according to our hosts and a few cyber geeks, The Silver Linings Playbook is not so indie with its heavy marketing and big name stars. And is Jennifer Lawrence really as good as they say?